A seaside New England terrace pool by Ike Kligerman. 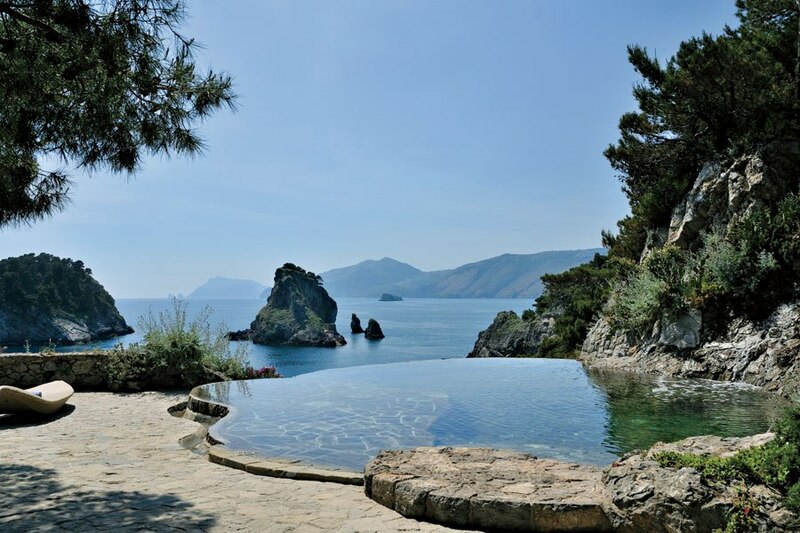 An estate once owned by Rudolf Vureyev on the Amalfi Coast. A Southhampton pool by Architect William Georgis. Artist Fris Ruhs creates a courtyard tiled pool in Marrakech for the editor of Vogue Italia, Franca Sozzani. Interior designer Mariette Himes Gomez creates a hedge surrounded pool in the Hamptons. Thomas Pheasant creates a Palladian façade garden and pool area for his contemporary residence in D.C. And lastly an infinity pool in Nantucket looking out over 300 acres of beautiful green wilderness.